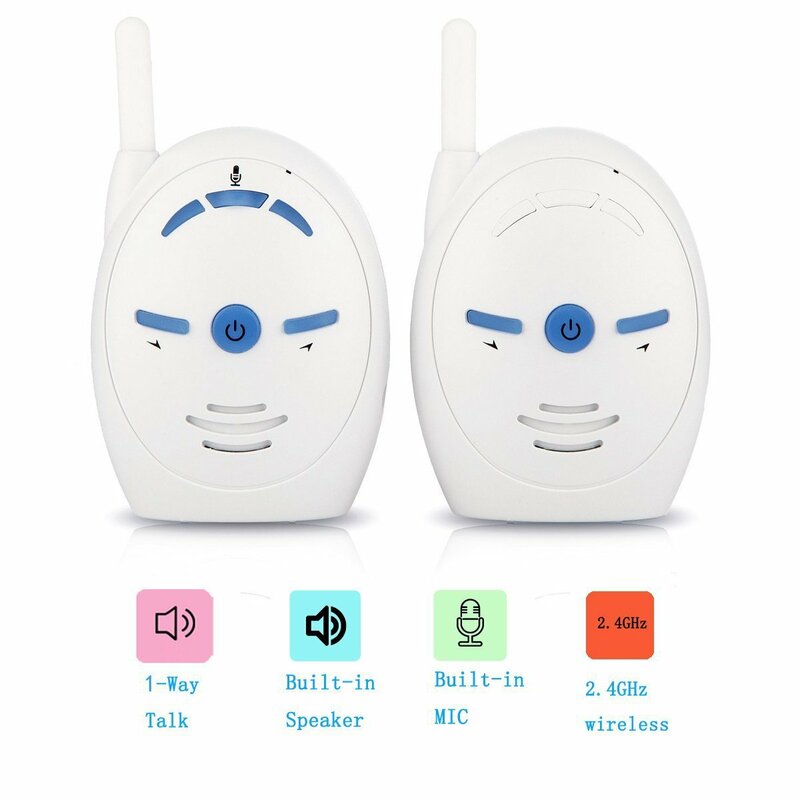 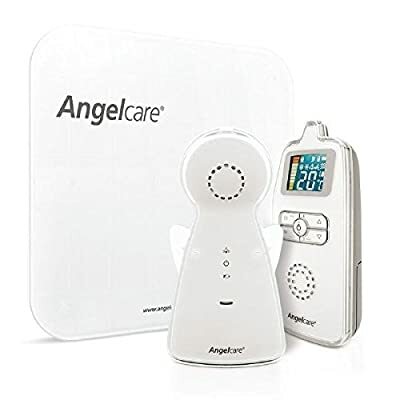 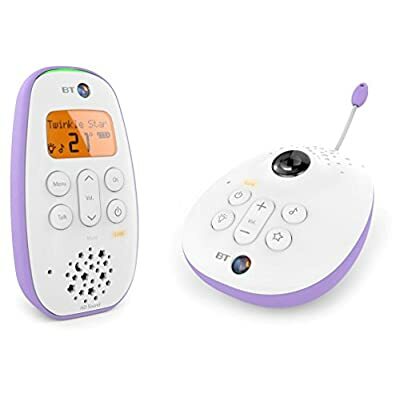 2.4GHz digital wireless transmission for sound clarity, giving you the reassurance that your child is resting peacefully, so you can feel comfortable that your baby will come through loud and clear when they need you. 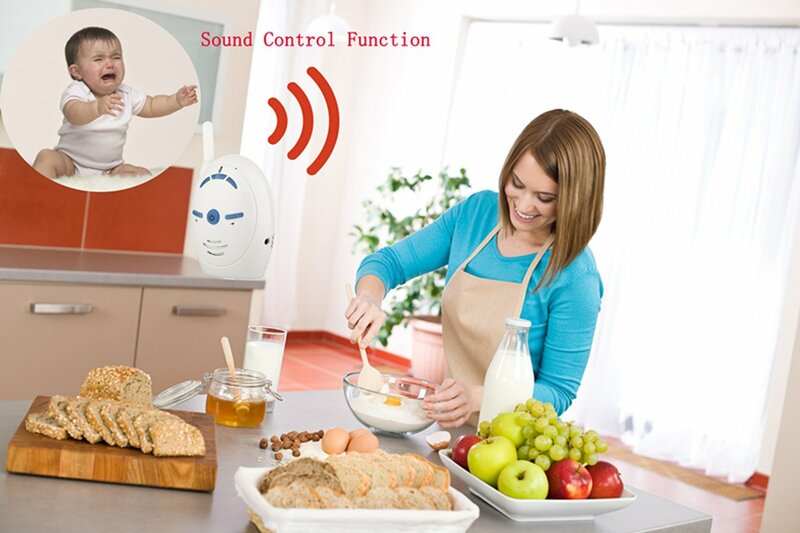 Two way to charge： Powered by AAA battery (not included) or UK interface plug charge it . 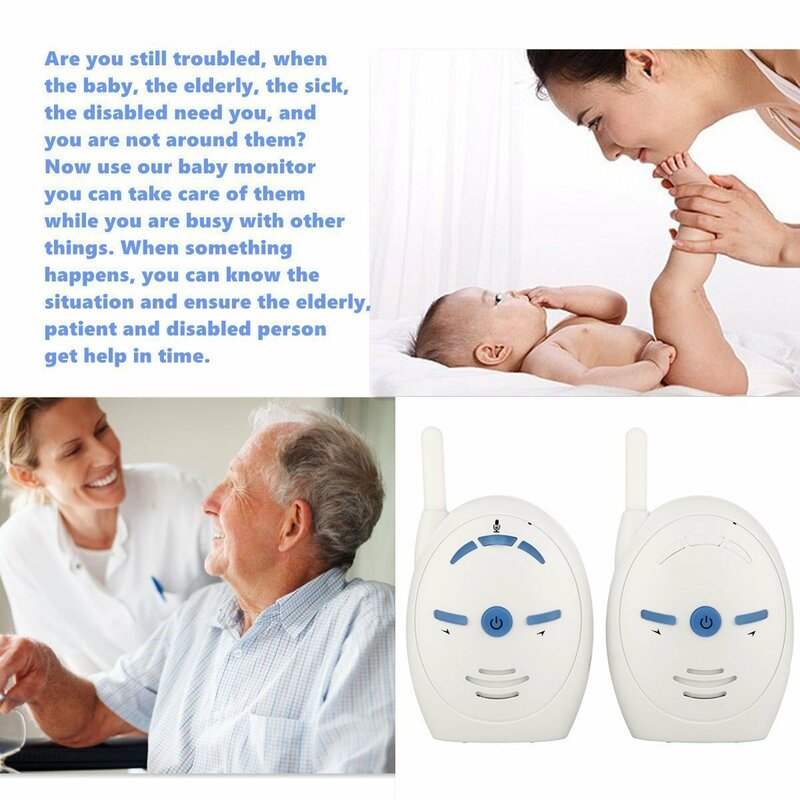 Do not place the baby unit or cable in the cot or within aren’t reach of the baby(at 1 meter away). 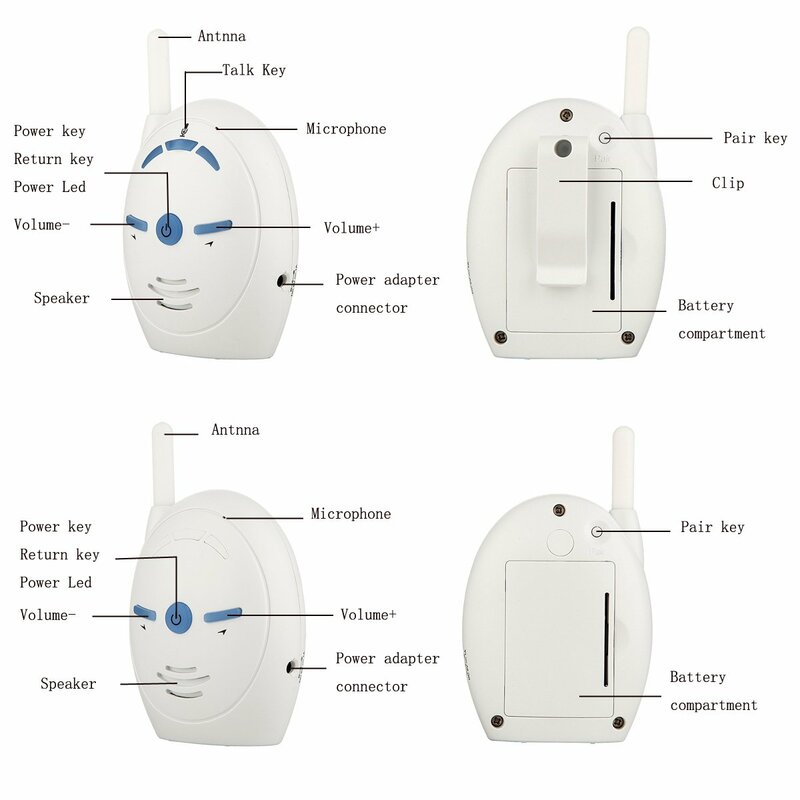 Belt clip – clip the parent unit to your belt and take advantage of the extended range and battery-powered operation. 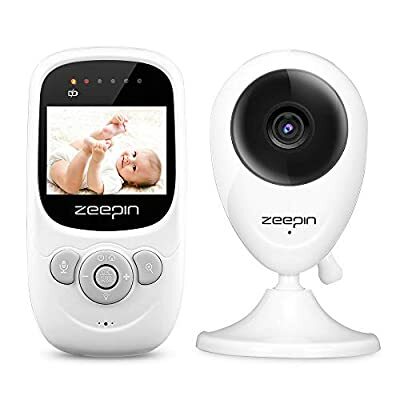 Now you can hear your baby sleeping in the other room or you can monitor your older children in their playroom.You do not need to register it again unless the baby unit loses its link with parent unit. 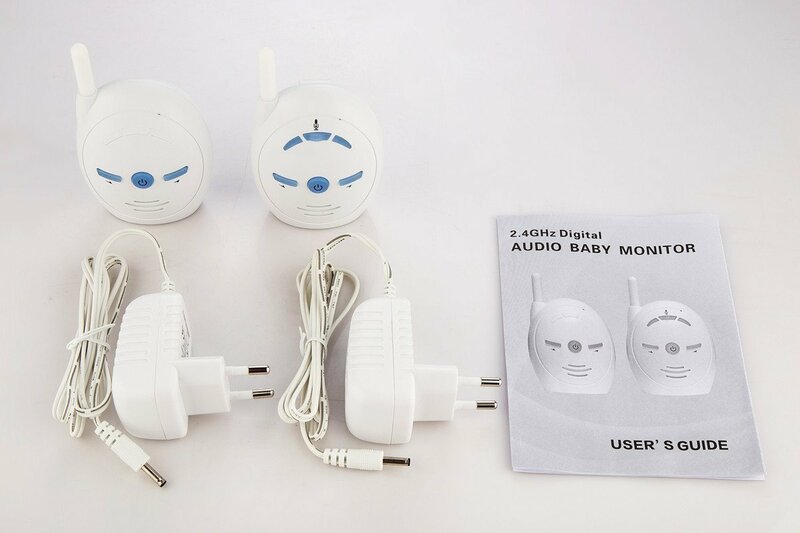 HD sound for crystal clear audio, so sensitive you can hear your little one breathing. 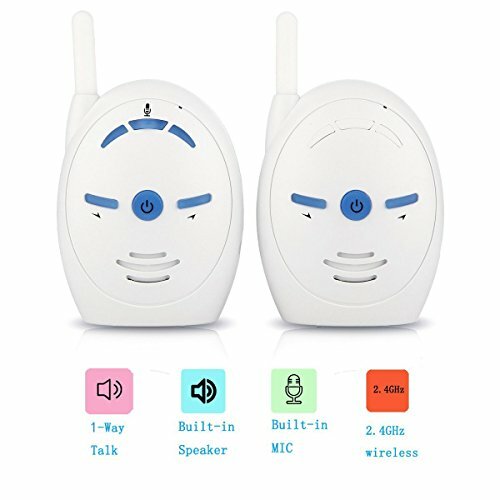 This walkie-talkie is a one-way conversation where you can hear your baby’s voice but can not talk to the baby. 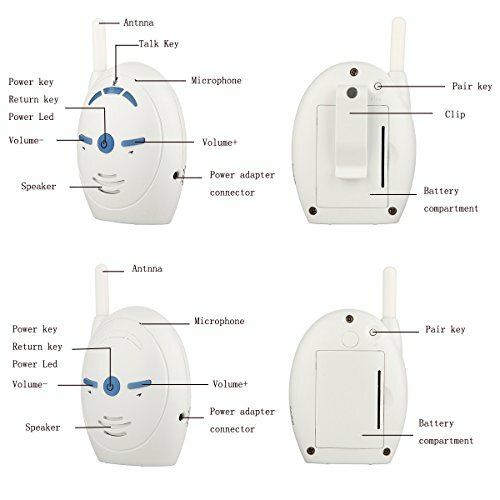 We aim to answer your question within 24 hours and we welcome you to contact us by email directly if you have any question or problems.